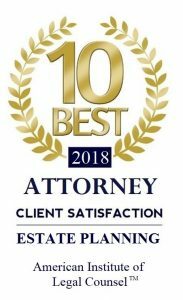 As a full-service firm, the Piatchek Law Firm assists clients in making educated decisions about how to proceed with many different legal matters, including probate, estate planning, business law, family law, civil litigation, criminal defense, and personal injuries. We believe that it is important for our clients, as well as the general public, to have access to basic legal information. Below is a list of free legal forms and brochures pertaining to many areas of the law that you are welcome to download. If you have questions about any of these legal areas or about your personal case, please contact our offices anytime at 417-882-5858. The booklet explores survival and legal options for domestic violence victims. The booklet focuses on laws and programs affecting senior citizens, including new Medicaid laws in Missouri. This includes FAQs, instructions, and a PDF form as well as HIPAA instructions. The booklet explains different types of adoption in the state of Missouri. This resource explains Missouri’s judicial selection/retention system. The above brochures are brought to you in cooperation with the Missouri Bar, which has spent an incredible amount of time and effort compiling all of this information. These pamphlets, plus many others, are also available on the Missouri Bar website at www.mobar.org. The Missouri Bar works very hard to educate the public on these topics and to ensure that attorneys in Missouri are providing the highest quality services to our many clients. Thanks to the Missouri Bar for all they do for their member attorneys and our citizens. Our staff of attorneys is proud and privileged to be members of the Missouri Bar. Notice: The above information, pamphlets, and booklets are intended to give general, basic information only and to provide suggestions or ideas about various approaches that can be utilized to achieve various results. Such information should never be a replacement for the advice of a competent, licensed attorney familiar with your exact situation, circumstances, and goals. Provision of the above items does not constitute or create an attorney-client relationship. These pamphlets and brochures are for informational purposes only. No person should make any decision based solely on the information contained therein. Our law firm is not responsible for any losses or damages that result from reading, using, or relying on the above information without consulting an attorney. You should always consult a licensed attorney if you are looking for legal advice.